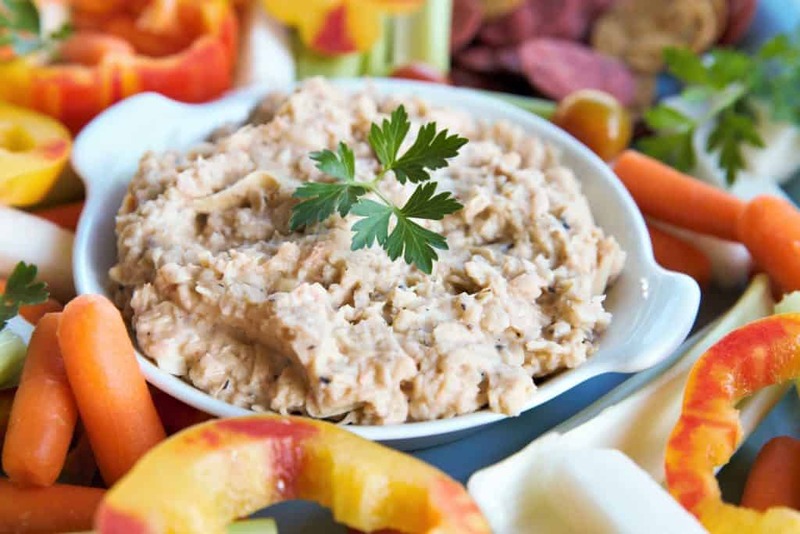 Artichoke Bean Dip is a delicious, nutritious vegan snack. 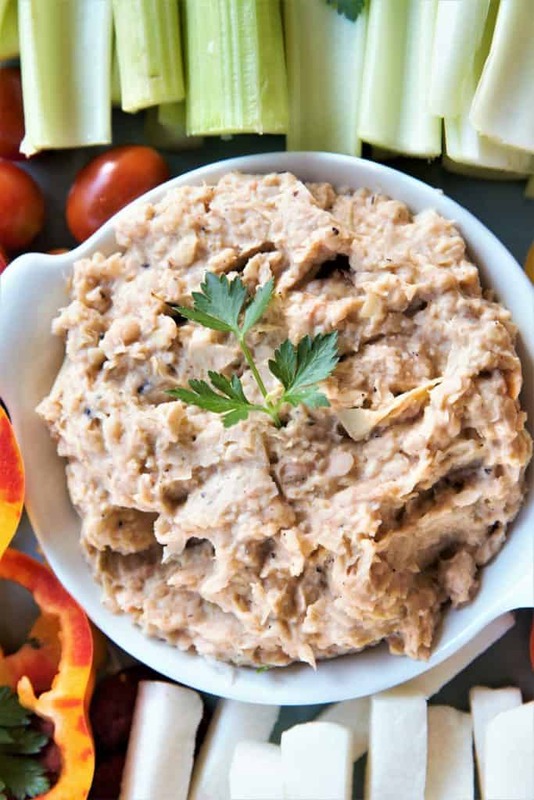 Artichoke Bean Dip. When you combine nutritious foods like artichokes and beans, you can actually call it a healthy snack! This bowl is also perfect for packing in lunch, or as an appetizer for a fancy event. 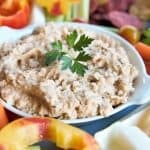 Using only 5 ingredients, this tasty treat is ready in 15 minutes, and is packed with the goodness. 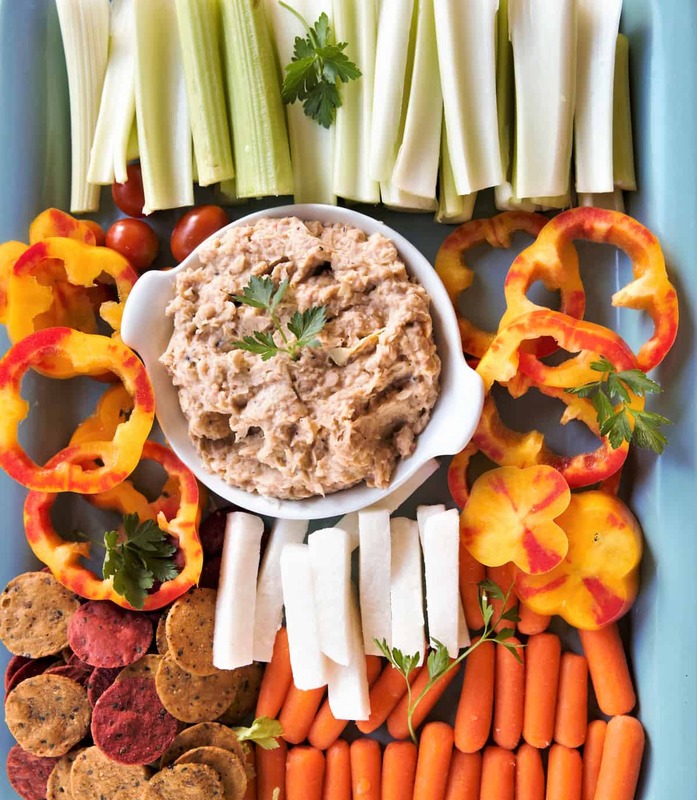 After making the dip, serve it with celery, jicima, carrots, peppers (these are “Enjoya” peppers), gluten free sweet potato and beet crackers, cherry tomatoes, or any vegetables that you love or have on hand. It is almost like a salad! Vegan, gluten free and dairy free. 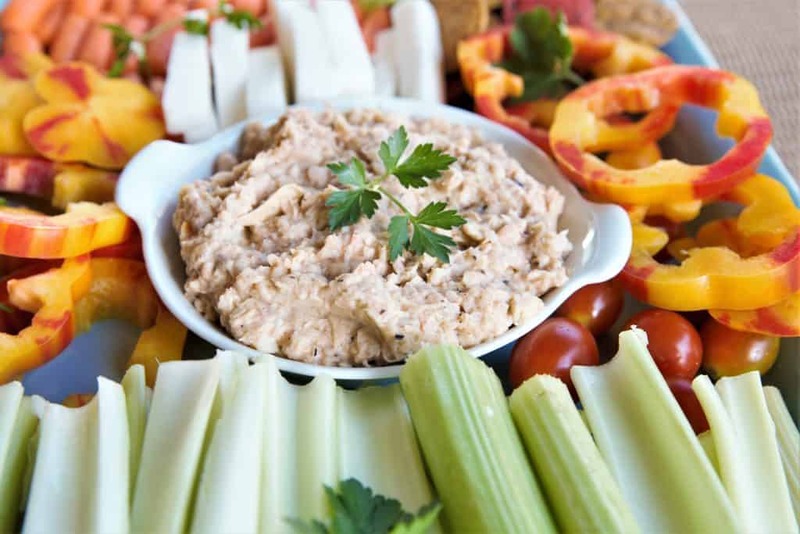 Artichoke Bean Dip is a yummy, nutritious snack that could be lunch! Vegan, gluten free, dairy free. Add all ingredients to food processor. Pulse until all ingredients are mixed well.